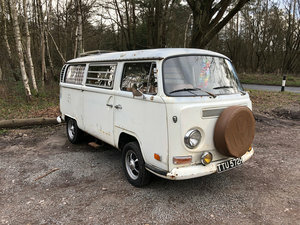 For sale on behalf of our customer is ‘Brian’ a 1976 VW Camper. Brian has benefited from a full Van Wurks interior which includes Waeco fridge, Smev double burner, sink (with water tank), storage cupboards and rock and roll double bed. The roof has two adult length bunks with a child bed across the front roof, allowing up to 5 people to sleep comfortably! The drivers seats have been upgraded to very comfortable modern seats with arm rests. Brian has electric hook up, great for providing 240v power when camping on site and a leisure battery for when you are off grid! There also 4 x 12v power sockets fitted. The body has had new paint in 2014/15 and is very tidy with only a couple of small blemishes. Externally a Fiamma 2 bike rack has been fitted together with Earz air ducts for increased airflow into the engine bay. 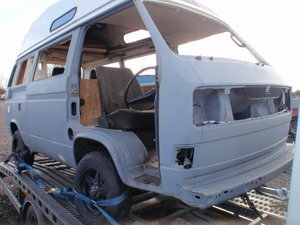 Brian is powered buy a 1600 TP which drives through a 4 speed gearbox. Brian comes with a lot of additional equipment including:- Bike cover (for rack), Van Cover, Khyam Awning, crook lock, external table leg, portable toilet, 240v hook up cable, spare parts (bulbs etc). 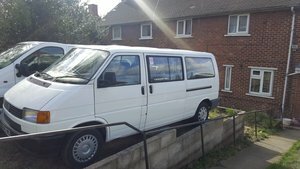 £17,250 ono. 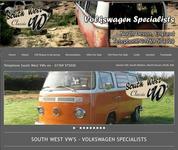 More details at www.southwestvws.com We are based in South Molton, Devon. Please note this vehicle is for sale on behalf of the owner. 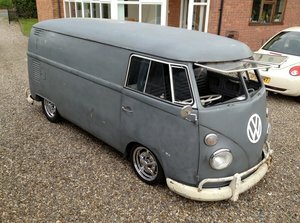 No work has been carried out by South West Classic VW's. 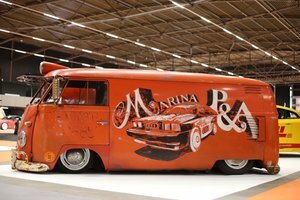 No warranty is offered or implied by South West Classic VW's. An independent inspection is welcome.